The JAY® Encompass is a fully customizable wheelchair back that offers a wide range of sizes and specifications, including custom three-piece laterals and foam selections. The Encompass back's three-piece lateral thoracic supports may be adjusted to "hug" the client's torso, providing outstanding lateral and anterior trunk support that is fully customizable. Swing-away hardware allows for anterior support without inhibiting transfers in and out of the wheelchair. 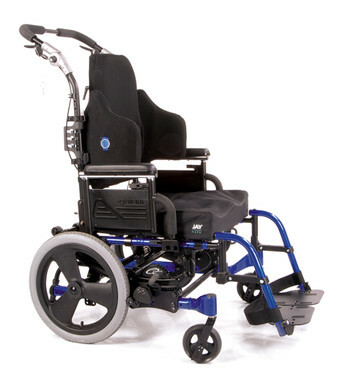 Available in widths between 14" and 25" and heights between 12" and 28", the Encompass wheelchair back accommodates more client torso widths and heights than any other JAY back. The Encompass back's foam insert may be custom ordered to individuals' specifications for optimal protection from skin breakdown. Choose between varying foam thicknesses and densities or layer multiple options for the ideal combination suitable for each unique client. Width Range 14" to 25"